You probably know you need protein in your diet, and you likely have an idea of where you can find it. Meat, nuts, and eggs may all come to mind when you think of protein-rich foods, and perhaps you’ve even tried supplements like protein bars or whey protein powders. But do you know what protein is, exactly, and what it does for your body? Protein is a macronutrient, which means it’s a substance that you need to stay alive, registered dietitian nutritionist Keri Gans, author of The Small Change Diet, tells Allure. “Protein is basically the building block of life; it helps to repair and build tissues and muscle,” she says. Here’s what else you need to know about protein, including how much of it you should be getting a day. Made up of amino acids, it is a building block for your muscles, bones, skin, cartilage, and blood, Alissa Rumsey, a registered dietitian nutritionist and founder of Alissa Rumsey Nutrition & Wellness, tells Allure. According to registered dietitian nutritionist Beth Warren, founder of Beth Warren Nutrition and author of Living a Real Life with Real Food, it helps you build muscle mass, keeps your immune system strong, balances your hormones, and helps give you that full feeling after you eat. How much protein should I get each day? Everyone’s protein needs are slightly different, but the Recommended Daily Allowance (RDA) is a minimum of 0.8 grams per kilogram of your body weight, says Sonya Angelone, a registered dietitian nutritionist and spokeswoman for the Academy of Nutrition and Dietetics. Your age, weight, height, whether you’re pregnant or breastfeeding, and how often you exercise also factor in. For example, if you’re an active 30-year-old woman who is 140 pounds and five-foot-six, you’ll need about 51 grams of protein a day, according to the United States Department of Agriculture (USDA). (The USDA has an online calculator that can help you figure out your exact protein needs.) That requirement changes slightly if, for example, you’re breastfeeding (you may need more), you’re sedentary (you may need less), or you weigh more or less. What happens if you don’t get enough protein? Given that protein is an essential nutrient, not getting enough can wreak havoc on your body. Protein deficiency may reduce your muscle mass and therefore your metabolism, Warren says, as well as lead to hair loss, skin patches, and difficulty losing weight. Your immune system also might be compromised over time, Gans notes, making you likelier to get sick and more affected when you do. What happens when you get too much protein? In the short term, you’ll probably be OK if you consume a little more protein than recommended: As certified dietitian-nutritionist Gina Keatley tells Allure, surplus protein can lead to “an increase in ammonia within the body, but this is easily cleared with a slight increase of water in the healthy adult.” But if you’re on a high-protein diet for a long period of time, you can develop a condition known as hypercalcemia, which causes elevated levels of calcium in your urine, Keatley says. Those higher-than-normal levels of calcium can happen when your body starts to break down your bone and can lead to kidney stones and kidney failure, according to the Mayo Clinic. Are all forms of protein created equal? You can get protein from many different sources, per the USDA, including meat such as beef, pork, and poultry; seafood; beans and lentils; eggs; dairy; and soy products, nuts, and seeds. Some nutritionists emphasize the nutritional value of lean meat, since, as Keatley says, “Non-animal sources of protein do not contain all of the amino acids [or proteins] that are necessary for life.” That doesn’t mean they’re bad, per se, they just don’t have all of the range of proteins you’d get if you were to eat animal products. Not all animal products are a good choice, though: The Mayo Clinic points out that processed meat and red meat are high in saturated fat and may increase your heart disease risk. And if you’re a vegetarian or vegan, don’t worry: You can meet your protein needs with plant-based sources. “Good plant protein sources include the pulse family, made up of beans, lentils, chickpeas, and dried peas, which provide not only protein but also fiber, as well as soy like tofu, tempeh, and edamame,” Rumsey says. Should I look into using protein powder? Protein powder is also processed, which makes it more likely that the protein is denatured, meaning it has become a shape that your body can’t use, Keatley says. “However, if you’re going to use a protein powder, I would suggest a whey protein powder, because it has the highest protein efficiency ratio of the powder types and is most easily used by the body,” she says. (Whey protein is one of the key proteins found in dairy, so it won’t work for vegans.) While it’s best to get most of your protein from whole foods, if you’re having trouble getting enough in your diet, a supplement could help. Your doctor or a registered dietitian can help you figure out if that’s the case and guide you on the best choices for your body. If you decide that a protein supplement is right for you, here are a few products to consider. 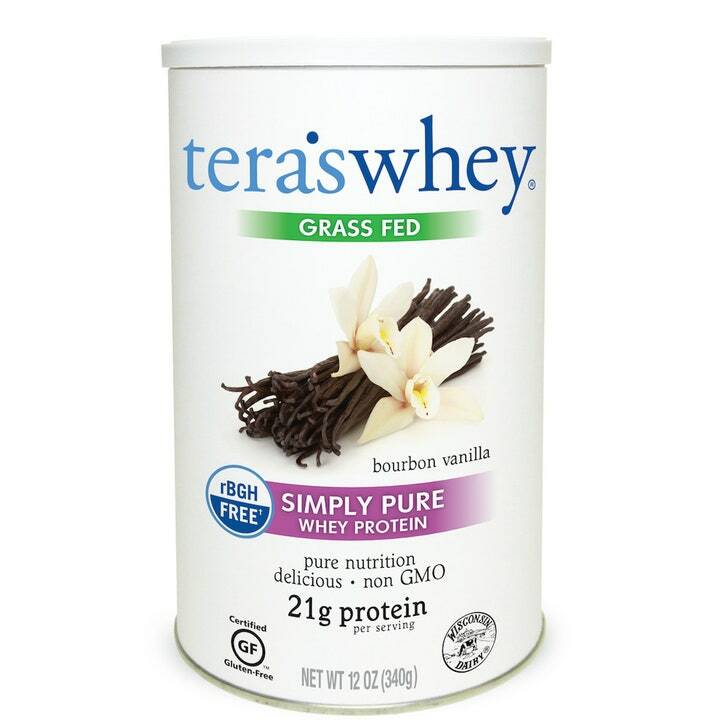 This grass-fed protein powder is free of corn, soy, and gluten, and the vanilla flavor is surprisingly delicious thanks to a touch of pure Indonesian vanilla extract and cane sugar. 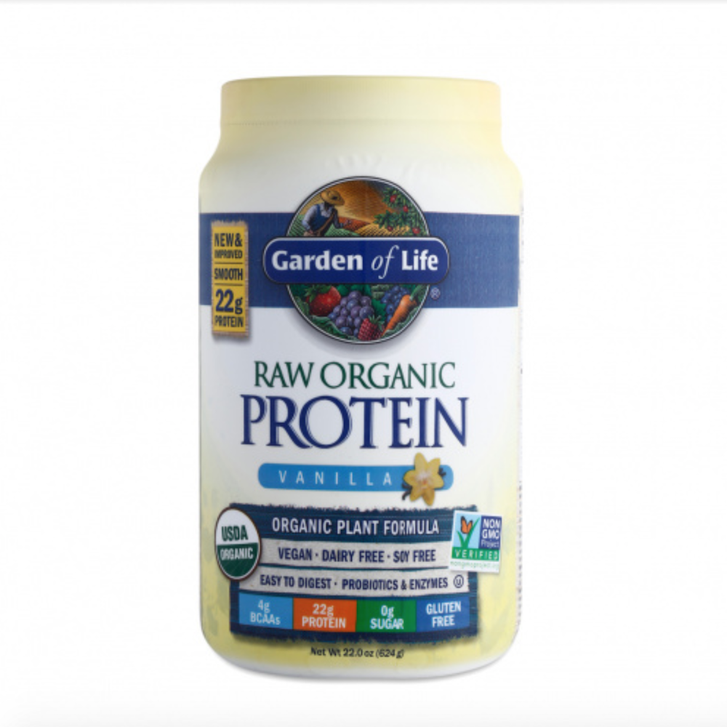 Suitable for vegans, this dairy-free, soy-free powder is made with 13 raw, sprouted proteins for 22 grams of protein a serving. 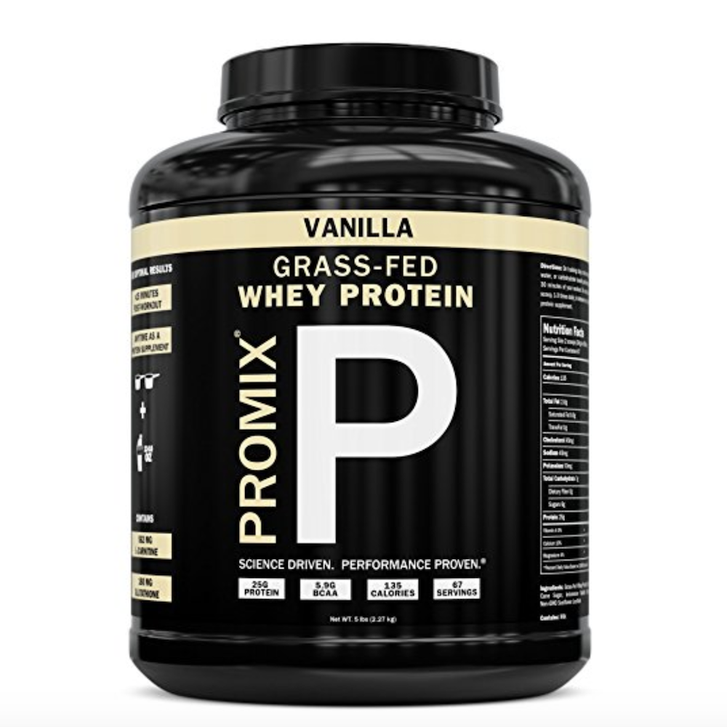 This grass-fed protein powder works just as well in shakes as it does in baked goods.